What is an echo and what does it show? 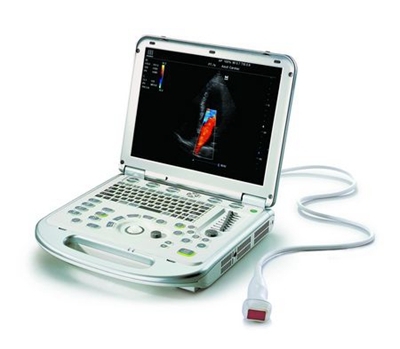 An echocardiogram, or ‘echo’, uses ultrasound to show a picture of the heart at work. 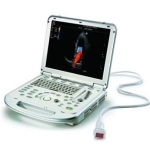 It is a very safe test – it is also used to examine babies in the womb, and the ultrasound waves cannot be felt. the pressure in the pulmonary arteries. How is an echo done? An echo is done with you lying on your left-hand side. 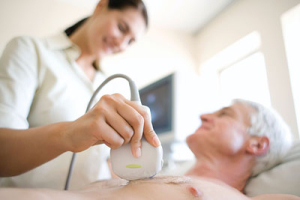 A trained technician then passes a device that looks like a microphone – called a transducer – over your chest area at various angles. To help the procedure, a jelly-like substance is rubbed onto the tip of the transducer. The echo can be videoed or images recorded onto photographic paper. The whole test takes about 15–30 minutes.